Posted on July 26, 2013 by Dayna B. Our trip to Turkey is exactly one month away and I could not be more excited! However, due to the civil unrest that broke out in Turkey a couple of months ago, many people have asked me if I am worried about traveling there during a somewhat tumultuous time. The short answer: No, I am not worried. Anti-government protests erupted in Turkey in May and resulted in thousands of injuries as well as at least five deaths. 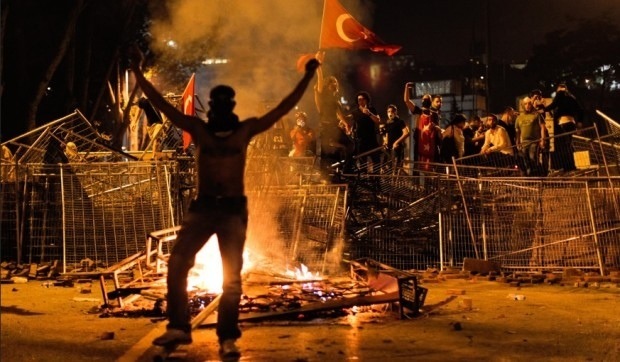 The protesting began in Istanbul and quickly spread throughout other cities in Turkey. While the situation has calmed down tremendously since June, there are still sporadic pockets of civil disobedience throughout the country. But I am not deterred! Someone find me a “Turkey or Bust” bumper sticker pronto! I am happy the situation appears to have quieted down considerably, but I think it is safe to say that I would still be packing my bags even if it hadn’t. Sound crazy? You might think I’m off my rocker, but I’m chalking it up to the fact that my husband and I are pretty savvy travelers with a keen sense of situational awareness. There are very few places that I would be afraid to travel to, especially when there is a coveted new passport stamp on the line! With that being said, I do believe traveling “smarter” can go a really long way. So that is why I just enrolled in STEP (Smart Traveler Enrollment Program) through the State Department. STEP is a free service for travelers living in or visiting a foreign country that allows the State Department to better assist you in the event of an emergency. The program also provides travel alerts and warnings that pertain to any country you are visiting. In short, this program will help you stay informed, stay connected and stay safe! If you have an upcoming foreign trip planned, you can enroll in STEP here.